A few things to get to today before we head into our recap of last night’s episode. Got an update on the Vegas Fan Appreciation Party, my major podcast screw up this week, the new Bachelor Nation couple that can’t stop telling us they’re a Bachelor Nation couple or whatever you want to call it, and tonight marking the return of “Temptation Island” on the USA Network. If you haven’t already watched episode 1 which I included in last week’s recap, go do it now. If not, you can watch it tonight and get hooked. Our Nell Kalter will have her recaps up every Wednesday for your reading pleasure. I’m telling you, if you like the “Bachelor” franchise, I don’t know how you wouldn’t be interested in “Temptation Island.” You basically like watching people date on screen, right? Well, add that to the fact that four couples willingly decided to put their current relationships on the line, date other people, and see if maybe the grass is greener. I don’t know the spoilers to the season (other than seeing the first 4 episodes released to the media), but lets face it, they aren’t casting four couples who weren’t willing to hook up with the singles on the show, because that’d be boring. We’ll dive into that and a lot more with our podcast guest this week. Don’t forget to get your “Reader Emails” and “Dr. Reality Steve” emails in this week. Definitely want to make sure “Dr. Reality Steve” goes back to being a weekly column on Thursday’s along with the podcast release, but I can’t do it without your emails. I believe I have two already this week, but would like more. As for “Reader Emails,” I can already tell you a few this week have their thoughts on the Paulie interview, which I expected. I’m fine with whatever anyone has to say about it since I knew it would spark a response. Honestly, I still don’t know how I felt about the interview and if I could ever do something like that again. An update on where we’re at for the Fan Appreciation Party in Vegas Friday night, June 7th, at the Rio All-Suites Hotel and Casino. After last week’s announcement, many of you have already booked flights and/or hotel, and right now the head count is a little over 50 already. As I say, it’s first come first serve. Anyone’s invited. There is no charge to get into the party. There will be food and open bar like every year. But this being the 5th annual party, I wanted to go a bit bigger. The room at the Rio is top notch. One of the best rooms with a view in Vegas and can fit plenty, so we’ll definitely have more this season that can be allowed. But if you want in, let me know as soon as you can, and your flight and/or hotel confirmation is your entrance into the party. Just send it to me when you can. Also, we’ve already had a few people take advantage of the hotel discount at the Venetian. If you want the code to book there, I now have it. Any nights between June 6th and June 10th are $219 for a King Bed, and $249 for 2 Queens, before taxes and resort fees. It’s worth it, trust me. So let me know if you’re interested. The biggest thing I got asked this week was about Kaitlyn and Jason. As I mentioned in “Reader Emails” last week, I’m not sure why they made it seem like it was their first date, because it wasn’t. They’d definitely spent time together before. But as you saw on their IG’s over the weekend, this was the first time they actually documented everything so fans could freak the f**k out. To each their own. I guess they wanted everyone to know exactly what they were doing all weekend, even though they said in interviews before last weekend they were going on a date. So to recap: they’ve not been the least bit subtle about flirting on social media with each other, they did interviews announcing they were going on a date last weekend, then documented pretty much their whole weekend on their IG stories and in the stories of friends while in Colorado. Got it. I mean, to each their own but it just seems a bit much. But I’d say that about any couple went about it that way. This isn’t a shot against either of them because I don’t have anything against either. Just seems, I don’t know, like they’re trying too hard. But whatever. Good luck to whatever it becomes. Now, I mentioned above about a major podcast screw up. Totally on me. At the end of last week’s podcast, I teased that this week’s podcast was 90210 related since I’m in a binge watching mode right now and have plowed through almost 5 seasons of Beverly Hills 90210 – again. I recorded a podcast last week with the two hosts from the “Again With This” podcast, Tara Ariano and Sarah D. Bunting. If you haven’t listened, you should. They recap EVERY episode BH90210 ever made along with soundbites from the show. So even if you didn’t watch recently, when they play the clips, it might refresh your memory. However, idiot me accidentally deleted the 90 minute interview off my recorder before I downloaded it to my computer. It’s gone forever. I’m pissed. I can’t believe I did that. It’s only happened once before, but it was with a caller on the “He Said, She Said” podcast. So the bad news is that podcast will not happen this week. The good news is they’ve agreed to re-record it sometime next month when their schedules open up, so, we’ll definitely be hearing them on in the future. A lot of fun and my apologies for screwing that up. As you know, “Temptation Island” starts up tonight and I mentioned that every week, Kaci Campbell, who is one half of one of the four couples from the show, will be a podcast guest every week this season as we talk about what happened in that week’s episode. No spoilers, just wanna get a feel for someone who was there, who lived it, and who can give us a little insight to their thought process. Because a lot of you I’m sure are saying, “Why the hell would you possibly agree to going on this show?” And that’s the first question I ask Kaci this week. As you’ll see tonight (if you haven’t watched episode 1 already), Kaci and her boyfriend Evan are easily the two most free-spirited of the four couples and really opened themselves up to this. Not a ton of jealousy there so it’ll be interesting to see how this plays out for them. Anyway, just for this week only, Kaci will be my only podcast guest. In future weeks, my 15-20 minute conversation with her will be added on to the end of whoever my podcast guest is. But for the first time hearing from her, figured I’d give you a better idea of who she is, why they decided to do it, what boundaries they set going in, and you’ll hear her get very emotional by just bringing up the story of Evan’s dad murder, something he mentions on the show tonight. So look forward to Kaci as the podcast guest this week. It’ll be a lot of fun getting to break down the episodes with her on a weekly basis. As for tonight, we get to meet the four couples and the 24 singles, along with the first “twist,” if you really wanna call it that. Next week, the dates start and in this exclusive clip, after Morgan walks in on Evan and Katheryn chatting privately in the confessional, a screaming match breaks out amongst the two friends. Meanwhile Brittney, who is set to go on her first date with Evan the next day, is awkwardly in the middle and questions whether she should actually go on this date or even trust him. There needs to be a lot more culling of the herd before this season can have a chance of being interesting. But I guess this season is ultimately going to be about the s**t show at the end. We’re just killing time until then, with copious use if the FF button. Never, never watch this show live!! Btw RS: I don’t think it would be that difficult for a computer tech to recover your deleted video/podcast or whatever it is. Nothing is really ever deleted. Does anyone know if Temptation Island is based on the UK’s Love Island? If so, I’m guessing it’s not in anyway as tacky and gross as Love Island, it would be X-rated if so. Tracy = Heidi Fleiss doppelgänger. Colton = boring….can’t carry the show. I haven’t seen episode 1 yet, but it sounds dire from some of the comments I’ve seen. I flipped over a couple of times last night and had to flip back to my other show. Just didn’t hold my attention at all. The Demi drama was obviously contrived, as most of the drama is now. Don’t know in the early days if the drama was as producer prompted or it just wasn’t as obvious. But, the drama is just eye rolling, and groan producing now. I’m with everyone else. 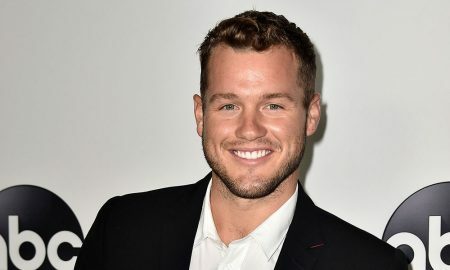 I swore I wouldn’t watch when they named Colton as the Bachelor. Last week was a hot mess with the interruption for viewing parties. And I’m guessing they did that just because they knew Colton can’t carry a full 2-hour show w/o some help! Not only is he boring, I don’t even think he’s that good looking…definitely not my type. And not liking too many of the women either. My fav so far is Elyse, but she appears way too good for this show…same with Hannah G and Cassie. They are classy and way too good for Colton. And Demi isn’t even an interesting villain…just Corinne.2. Boring!!! Can we just skip to Bachelorette?? PS…why in hell did he give a rose to that train wreck on the 1-on-1 date??? Yikes, was that painful to watch! I like the Demi = Corrine angle. For some reason I never did the math. But they have the same shallow, vapid personality and bad hair extensions. Nicole bores me too. She acts like she’s the only Cuban in the world and none of us in the audience can comprehend what Cuba is. > Colton = boring… can’t carry the show. Yep. I was thinking the boring 1 on 1 was Colton’s fault rather than Hannah B.’s. PS…I wholly agree with RS about the cringe-worthy opening scene with Colton doing a selfie video in bed. PLEASE let them NOT do that every week! And enough with the shower scenes too! I guess since he’s so boring they’re trying to make it up with focusing on his physical attributes…NOT working! @rob22: If the file was deleted from the computer, then definitely it would be accessible even after an accidental delete, but Steve stated it was deleted from the “recorder”, so it would depend on what kind of storage the recorder uses whether it’s possible or not (most likely yes – but it would take an expert). @tinyred500: Check out the wiki for Temptation Island and you will see all of equivalent show names related to this show, along with the years they aired, and in which country. UK Love Island was not on the list, but Temptation Island airing in UK in 2001 was. Temptation Island aired starting in 2001-2003 in the US and Love Island aired in the UK in 2005-2006, so if anything would be based on the other, it would be the opposite of what you mentioned. RS obviously doesn’t care about his poor writing skills. I have been saying the same thing for years. Sometimes his posts are downright painful to read. He makes Ari seem interesting.